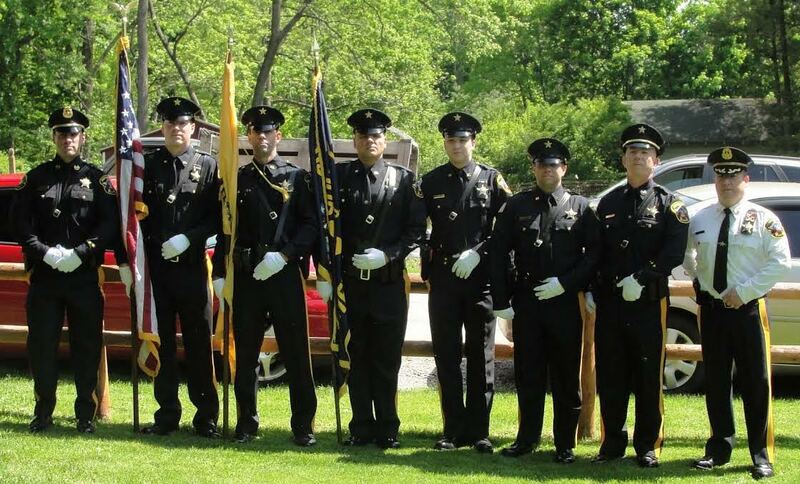 Pictured from left to right are as follows: Lieutenant Christopher Lynch, Corrections Officer Joseph White, Corrections Officer Keith Blessing, Corrections Officer Paul Liobe Corrections Officer Kyle Keller, Corrections Officer Robert Washer, Lieutenant John Bannon, and Sheriff Michael F. Strada. Sheriff Michael F. Strada is proud to announce the formation of the first Sussex County Sheriff’s Corrections Honor Guard Unit. The Honor Guard Unit is a ceremonial unit composed of volunteers who are “guardians of the colors” by displaying and escorting the national flag on ceremonial occasions, parades, funerals and other functions. These Corrections Officers attended an Honor Guard Boot Camp at the Bergen County Police Academy instructed by Captain Kneer of the Fair Lawn Police Department. Their first official detail was at the Branchville Memorial Day Parade. For more information, please contact Sheriff Strada at 973-579-0850 or Undersheriff Wanamaker at 973-579-0875.